This horn is kind of a mystery to me. I’m not actually sure where I got it from, but it may have been a rescue from an old Salvation Army Citadel that was closing in eastern Ontario back in the 90s. 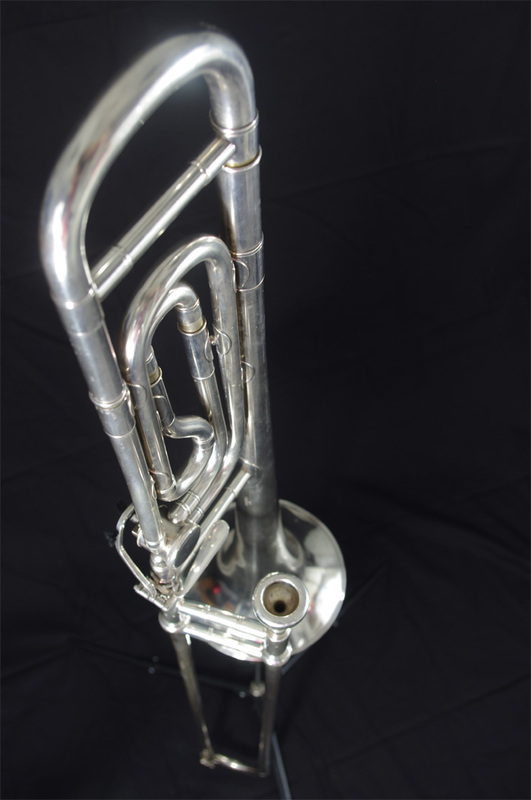 The Boosey & Hawkes Imperial is a medium (I’d say small, but I’m biased towards big horns) bore tenor trombone. It’s pitched in Bb/F and has a 7″ bell. Compared to the King 8b it has a really tight wrap. 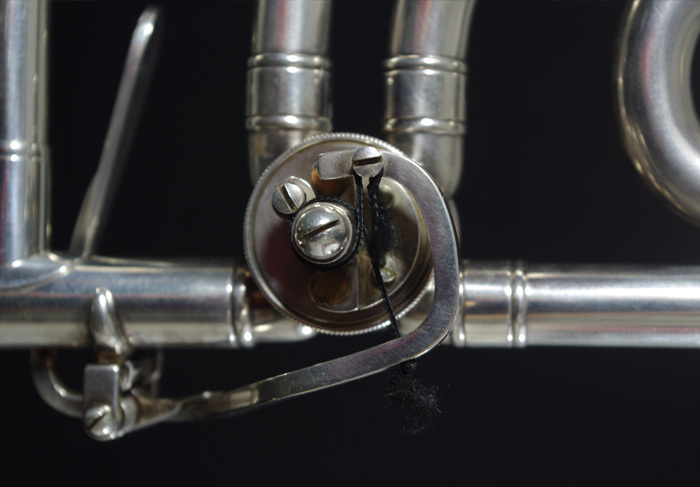 The rotors (valves) on the Imperial are pretty small too, especially compared to modern horns where the rotors can get up to 2″ or more across. The Imperial was quite popular in the 50s, 60s & 70s with Salvation Army brass bands. 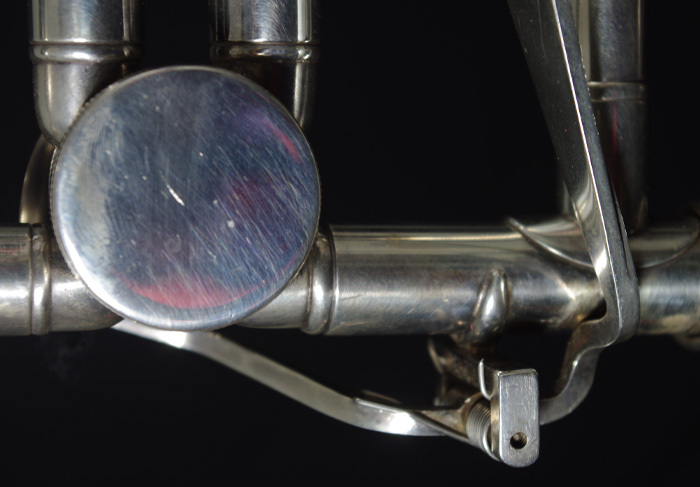 This particular horn was manufactured around 1954. Although I never personally used this horn, it remains my son’s favourite.